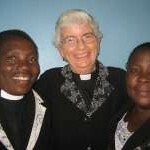 Helen has worked with Girls’ Brigade in Tanzania for many years whilst serving as a Mission Partner with CMS. You can read her latest prayer newsletter here. Isaiah 43:2 Fear not for I have redeemed you, I have called you by name, you are mine. Isaiah 43:4 You are precious in my sight and I love you. John 10:3 The sheep hear his voice, and he calls his own sheep by name. For many girls in Tanzania, it is not their usual experience to feel loved, valued or precious. More often they feel unloved, un-valued, and worthless. They feel that no one cares and that they are not special to anyone. It is hard for them to have any expectations of good things in their lives. When Glorious was young her father died, leaving her mother with no means of support and a young daughter to bring up. After a little while she had the opportunity to marry again, but on the condition that she not take her daughter with her. It was a difficult choice to make, but she left Glorious in the care of her grandmother and went to start a new life and a new family with her new husband. Glorious grew up with her grandmother caring for her, but without her own mother and father to love and nurture her. Her grandmother brought Glorious along to study at GB centre. After a couple of weeks it became apparent that Glorious was pregnant, along with another of our students. When we took the whole school for their medical checks, including pregnancy both these girls showed negative results. How was that? It seems they had falsified their specimens. But why? Fearing that they may even plan to have an illegal abortion we planned to take them back for another test. Somehow Glorious heard about this so she didn’t come to school that day. At which point we rang her grandmother and explained to her our fears. Her grandmother took matters into her own hands and took a nurse home to test Glorious who was indeed pregnant. We sat in our office with a tearful Glorious and a rather distressed grandmother. As we talked with Glorious she said that she had a relationship with the boy, but when she rang him to tell him about the pregnancy, he cut off any communication or relationship with her. Grandmother also confessed to us that when she sent Glorious to her interview for the school, she told her not to tell us about the child she already had in case we would not accept her. My heart went out to Glorious – she had been rejected by her mother and her step father, left by the father of her first child, had to pretend she didn’t have a child, then been rejected by the father of her second pregnancy, and now in danger of having to leave school. As we talked and counselled Glorious and her grandmother we affirmed to her that she is indeed precious and loved. She remained at school for another month but then it was too difficult for her so she had to withdraw from her studies. But two years later, Glorious is again enrolled and doing very well in her course. She will graduate at the end of the year and be able to begin her own sewing business. As well as learning sewing skills, Glorious has grown in her relationship with Jesus. She has learned of his love for her and of her value and worth. She will be able to care for her children. She will be able to build up her life and make choices. We pray that God will bring her a loving Christian husband to embrace her children and that they may have more children together. Jesus knows Glorious, calls her by name and loves her children and has a plan for her life. We can see God doing great things in the life of Glorious and expect him to do much more as she walks with him.